And if you're like most future grooms, you're probably most worried about the size of the diamond. Most people place a large emphasis on size. It's often interpreted as a status symbol and measurement of love. A lot of people don't want to be embarrassed by giving or getting a diamond smaller than what their friends and coworkers have. Tip: If you have no clue what a good size is, you may refer to the national average to get an idea. And then use that to plan your budget. We did a study into what the average size is. If you can't meet it, don't worry. 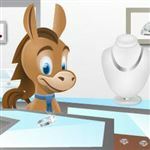 We also give you some good tips on how to get the best value and how to make a diamond look larger. The average engagement ring diamond size is around 1 full carat, with the average cost of the entire ring being just over $6,000. Round is the most popular shape for the center diamond, followed by princess and oval. Did you know: The average ring size for a woman is 6 to 6.5. 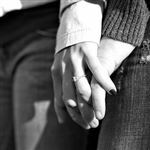 Learn how to find her ring size and what to do if you need to resize the ring. So What Does This Mean? Does the Average Matter? 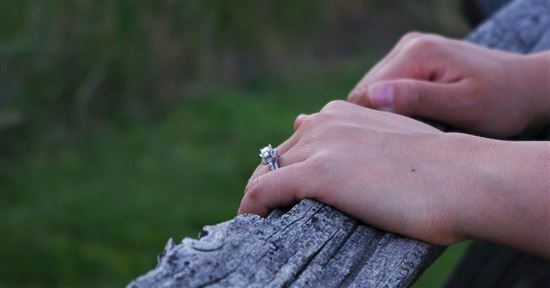 In our opinion, you shouldn't let the average diamond size influence your budget. The most important thing is to get something you can afford. The ring is a symbol of your love, commitment, and promise of a future together. And you do not want to start that future in debt. So don't go into debt trying to reach the average if it's truly out of your budget. Tip: There are many ways you can show your love if you can't afford a large rock. You can plan an unforgettable, romantic proposal. You can work with a local jeweler to design a one-of-a-kind ring that fits her personal style. You can give her your grandma's ring to tell her that she's part of the family. Your future bride may not care as much about a large diamond as you think. Only 47% of brides think the size is just "somewhat important." Another thing people unwittingly do is sacrifice quality just to hit the desired goal. For example, maybe someone has a budget of $3,500 but wants to reach the average of 1 carat. 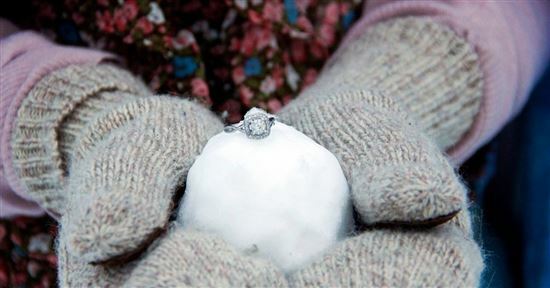 Sure, you can buy a 1-carat diamond for $3,000 and have some left for the setting. But it's going to be a very poor quality diamond that looks dull. It's much better to buy a smaller diamond with an excellent cut. In the next section, we give you some tips on how to get the best value so you avoid that mistake. We get it that you want the largest diamond possible. Let's just make sure that you don't sacrifice quality for size. So here are some tips on getting the best value. Always get the best cut possible. Cut is the factor that determines how brilliant a diamond will be. Even the highest quality diamond will be dull if the cut is poor. If the diamond is sparkly, it can mask color, hide inclusions, and appear larger. This means you can save money on color and clarity. We strongly suggest you read our detailed article on cut to understand why this is the most important factor. Please do not skimp on cut. This is the area where the extra money will make a huge difference in appearance. Did you know? Diamond cutters have a lot of pressure to hit that 1-carat mark. So often, the diamonds are not cut to ideal proportions. 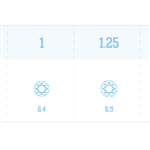 Not only does this mean bad light performance, it also means a lot of the carat weight could be hidden in the depth. So you're basically spending extra money just to have 1-carat on paper, but it's really wasted on something you can't even see. For example, a VS2 H Excellent cut diamond that is 1 full carat costs around $5,800. But keeping all other C's the same and dropping the carat weight down to 0.9 will also drop the price down to $4,800. And nobody is going to be able to tell the size difference. Tip: If you don't believe that no one will be able to tell the difference, here are some numbers: A 1-carat round diamond is around 6.4-6.5 mm in diameter. But a 0.9-carat round diamond is 6.2-6.3 mm in diameter. This is literally just a difference of 2 mm (equivalent to the thickness of a piece of paper). But you can save so much. You would need a size difference of 20% apart to be able to tell. Get a diamond lower in clarity. Clarity is the best area to save some money on. Most flaws are too small to be seen by the naked eye. We recommend looking for VS2 diamonds. And it's not impossible to find eye-clean SI1, SI2, or even I1 diamonds. This can literally save you thousands. Yellow gold or rose gold rings are cheaper than white gold. It's not that the setting itself is cheaper. It's the fact that you can buy a diamond lower in color, which means huge savings. For a 1-carat stone, going down to a J-color can save a couple thousand dollars. You can then use that towards a bigger diamond if you wish. Check out how beautiful a J diamond or K diamond can look in a warm-toned setting. Tip: Here's another best kept secret: A diamond with medium-strong fluorescence can improve the color in lower-grade diamonds (I and below). Fluorescence is a natural phenomenon where the diamond glows blue under UV light. It can cancel out some of the yellow in lower-colored diamonds and make them whiter. Shop online: Online retailers offer much better pricing because of their low overhead. In our study, we found that buying a diamond online cost as much as 40% less than at traditional, big-name diamond retailers (for diamonds with the same characteristics). See our favorite online diamond retailers. Trustworthy online retailers, like Blue Nile and James Allen, offer high-quality images and videos of their gems so shoppers know what they're getting. You've looked at all you can do to save (above), but still have trouble reaching the average? Don't worry. There are some options to help make a smaller diamond appear larger. Halo settings make a diamond larger. I love this trick. One of the most popular settings is the halo, which has a ring of small diamonds around the center diamond. This setting gives off serious bling and makes it look as if the diamond is huge. See other halo diamond rings. A bezel setting also works the same way by increasing the overall diameter (as long as the bezel is not so thick that it makes the diamond look smaller). Watch out: The worst settings for making a diamond appear larger is the 3-stone or side stones. Thick heavy bands also kill a smaller diamond. Consider a fancy-shaped diamond. Another favorite suggestion is to go for another shape. Not only do fancy-cut diamonds often appear larger than they are, they're cheaper than round, too. And plus, they are more unique and will appeal to girls who like to stand out in a crowd. Pear and marquise shapes look the largest. Just stay away from the asscher cut, which has the smallest surface area of all shapes. Thin bands make a diamond larger. The thinner the band, the larger the center diamond will appear. Knife-edge bands give the illusion of a very thin skank. Another good setting is to go with a thin pavé band. Setting it in a band of small diamonds will make the center stone pop. Cluster settings give the illusion of a huge diamond. This is when a cluster of smaller diamonds make up the center. So from farther away, it looks like one big diamond. This is a relatively inexpensive way to get a large center. The size of the diamond is such a personal choice. If you can meet it - great! If not, don't let the number scare you or make you think you need to spend beyond your means. It's most important that the ring is in line with your budget. Also don't make the diamond size your absolute top priority, at the expense of beauty. Lastly, remember - the ring is a symbol of love and commitment. There are many ways to show that without spending a fortune - whether it's putting in the effort to plan an unforgettable proposal, or designing the perfect ring unique to her style. These are all more meaningful gestures than simply buying a diamond that matches the national average. Share on Facebook "Average Engagement Ring Size"